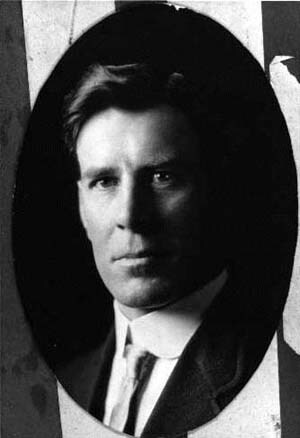 Frederick J. Dixon gained lasting notoriety as one of the ten individuals arrested on charges of conspiracy for their role in the Winnipeg General Strike. In many respects, however, Dixon was much more moderate than these charges would suggest. Born in England in 1881, Dixon arrived in Canada in 1904 and quickly became a prominent figure in the local political scene. His early political career was directed by his sense of the injustice of the vast social and economic inequalities evident in Winnipeg. He attributed much of this inequality to land speculation, and he became a leading member of the Direct Legislation League, an organization which embraced the single taxation as a means of improving social conditions. Dixon was a political moderate whose concern with the state of ordinary people transcended political affiliations. He was neither a socialist nor a labour unionist, but he wrote a popular weekly column in The Voice, Winnipeg's largest labour weekly. Neither was he a partisan Liberal, although when he ran for office as an independent in the provincial election of 1914, he was, by agreement, not opposed by a Liberal candidate. Shortly after the election, Dixon married Winona Flett. Flett was a prominent political activist who sat with Dixon on the executive of the Political Equality League, an organization of which Dixon was one of the few male members. In the House, Dixon worked closely with the Norris Liberals where he saw that it would improve the life of ordinary people, and he was especially prominent in advancing women's suffrage and Workman's Compensation. Dixon alienated many of his traditional allies through his opposition to the First World War. He saw the War as a fight between Imperialist interests that had little to do with ordinary people. Despite hostile crowds and attempts to impeach him from the Legislature, and sometimes at peril to his person, he spoke out against the War and compulsory military service. By 1918, the effect of the War were taking their toll on the ordinary people of Winnipeg, and unemployment was epidemica When the situation explode in the General Strike of 1919, he sided with the strikers. As a spokesperson for the Strike Committee, he defended the rights of the workers to a better existence, all the while calling for peace and moderation. When first William Ivens and then J. S. Woodsworth were arrested for their role as editors of the Strike Bulletin, Dixon stepped in as editor, and a warrant was issued for his arrest as well. Dixon did not respond to the warrant immediately, publishing five more issues (under two different names) before turning himself in. Dixon was acquitted by a jury of the charges against him, and went on after his acquittal to lead the moderate Independent Labour Party. He served as an MLA and titular leader of the ILP until 1930, but recurring cancer severely limited his activities after 1923, and by 1927, John Queen had assumed most active roles in the leadership of the Labour block in the House. Dixon died in 1931.